Added debt and financial pressures Time to start paying off that student debt and rent your first apartment. If you’re paying off student-loan debt, be especially careful when taking on new debt to finance a large purchase or run up your credit card bills. The best thing to do is create a budget, and stick to it. Maintaining good credit With all the financial pressures you will face, it is very important that you maintain good credit, giving you the opportunity to qualify for future loans on purchases like a home or car. This can be a difficult time, as low starting salaries and limited career opportunities can make it a struggle to keep up with financial obligations. Lifestyle adjustments A new job may require you to move to a new location, forcing you to leave family and friends. If you’re single, in your 20s, and enjoy a travelling lifestyle, it might not be a concern, but it still is a consideration. Even if you are not relocating, as a recent graduate, you may begin to feel isolated transitioning from campus life to working life. Working 8 or more hours a day may require some getting used to, so create healthy work habits to ensure success. Career opportunities A college diploma is not a free ticket to a job and a fast-moving career path. The job market is highly competitive, and recent grads face the lack of experience. But by challenging yourself, promotions can and will happen at some point. In some careers, it may be typical to be promoted every couple of years, but in other industries, it may take five years or longer to earn your first promotion. It’s important to always be thinking about your next move, even if you enjoy your current position. We invite you to call Mooney Lyons at 1.847.382.2600 or visit us at mooneylyons.com for more information on how to take the next important steps in your financial future. Fallon, Nichole. 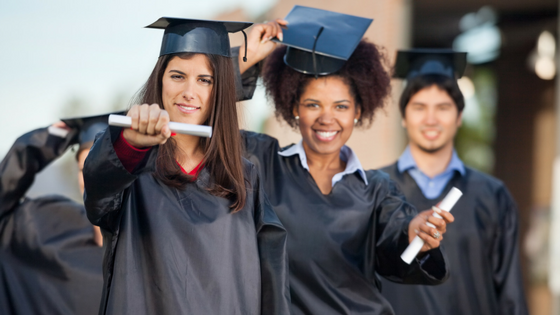 Transitioning from College to the Working World: 7 Survival Tips. 27, May. 2014. Guerrero, Aaron. 9 Things to Consider Before Relocating for a Job. U.S. News and World Report. 17, April 2013.